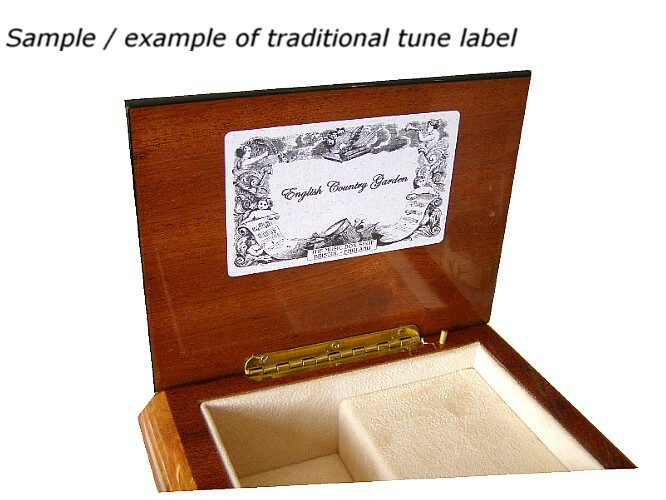 This beautiful octagonal musical jewellery box from The Music Box Shop, is fitted with an 18 note musical movement. 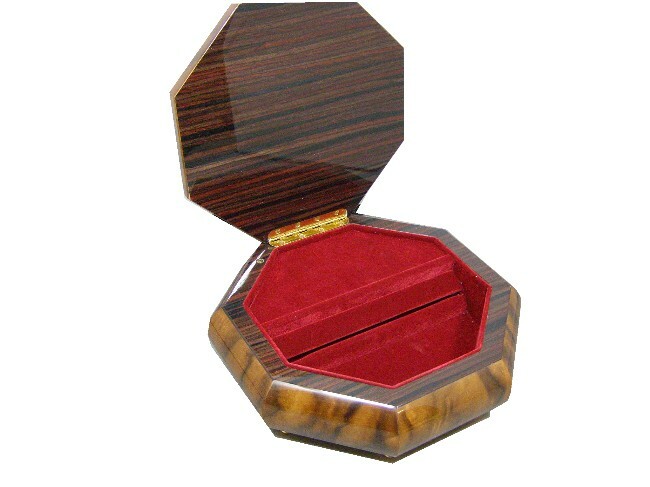 This musical jewellery box is hand made, finished in burr elm veneers, in a satin finish. 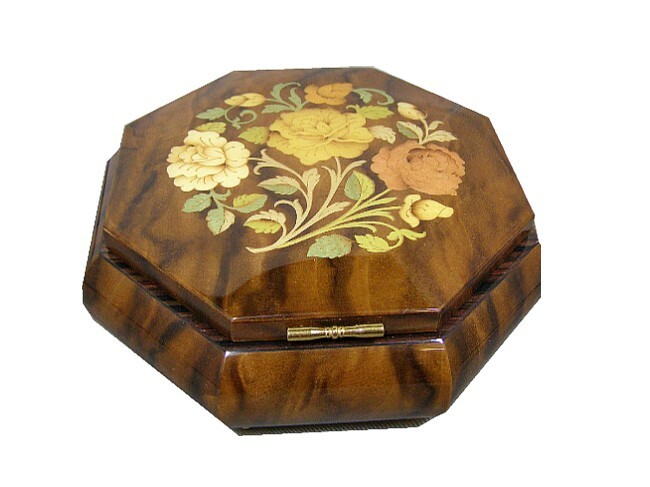 The marquetry set into the lid is of flower design. 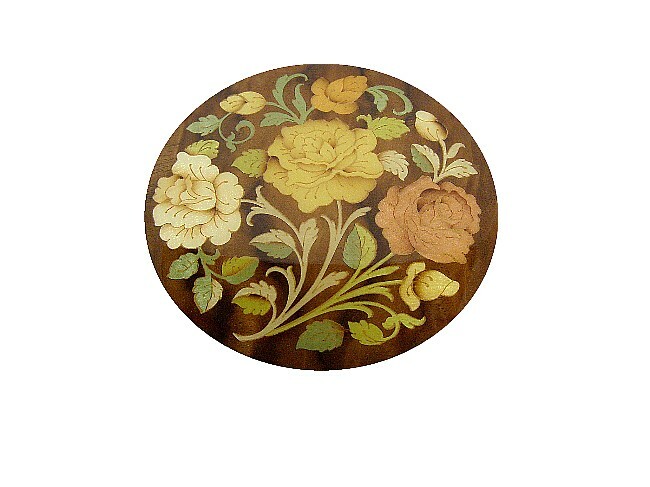 Approx Size :180mm x 180mm x 65mm.